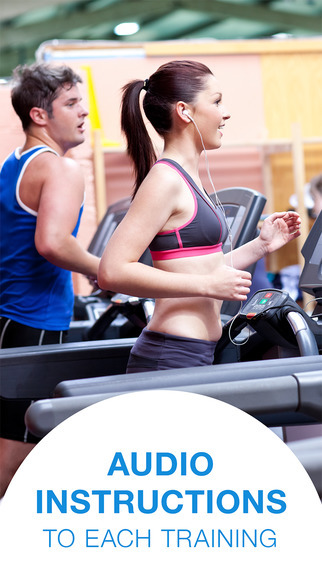 Do you want to start running & get in good shape? Do you want to easily run a 5K? Do you want to overcome laziness and lose weight? Then Run a 5K! 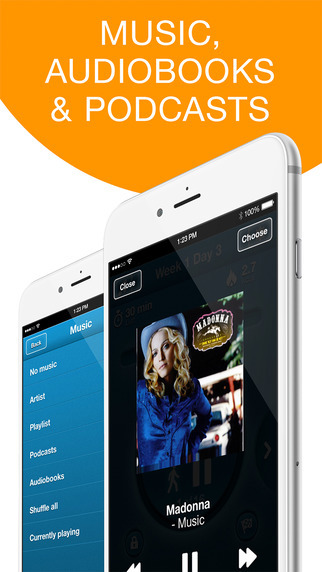 app is exactly what you need! - sharing results with Facebook & Twitter friends. - convenient search and suggestions to find perfect mixes. 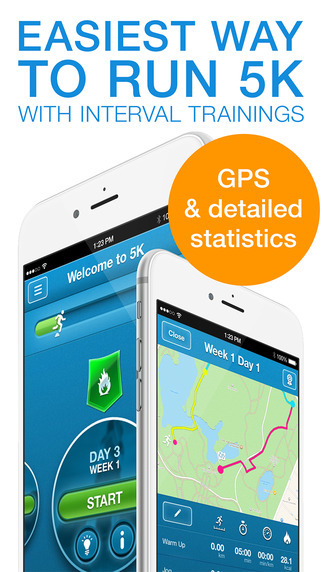 - integration with Runkeeper, Fitbit, MapMyRun. Get ready to be surprised if you think you would never be able to run a 5K! Should you choose to upgrade to a Premium Membership, payment will be charged to your iTunes account at confirmation of purchase. Your monthly subscription is $5.99 per month, while the yearly subscription is $49.99 per year. (Price may vary by location.) Your subscription renews automatically unless cancelled at least 24 hours prior to the end of the current period and cancellation of the current active subscription period is not allowed.